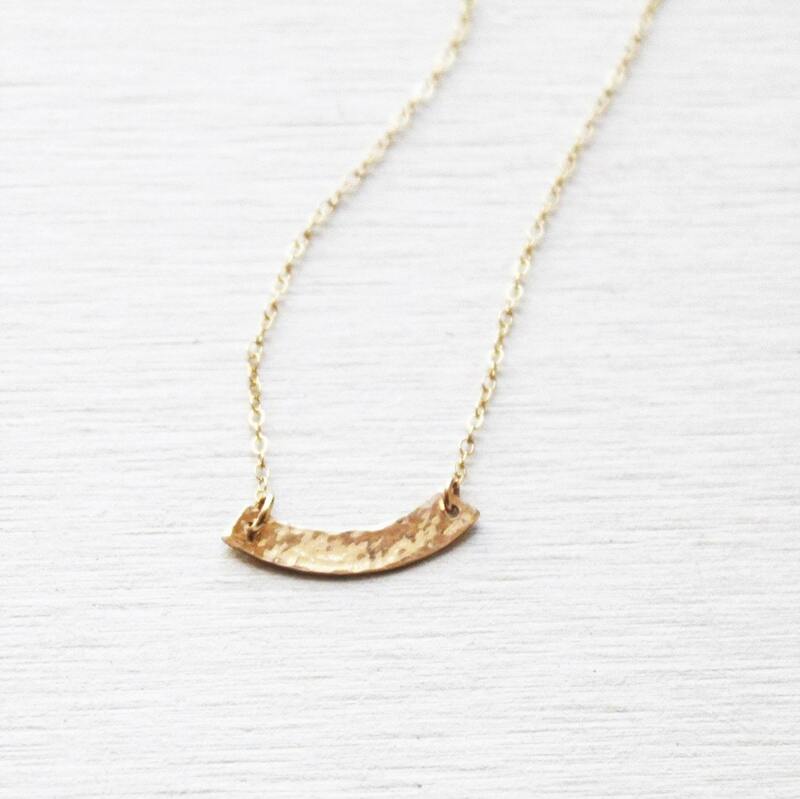 Our curved hammered gold bar is perfect for everyday. This design can be hammered or personalized just for you. 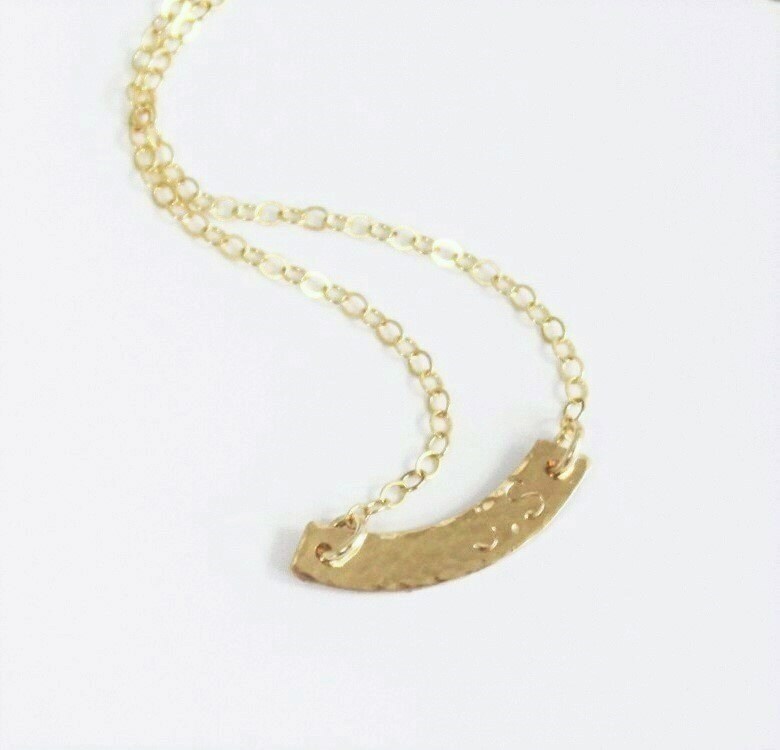 - Created with a dainty 14kt gold filled gold bar, hammered by hand for texture. Bar is approx. 20 by 7mm and is suspends in a 14kt gold filled shimmering link chain. This bar can be hammered or hammered with up to 3 initials off the right to wear over your heart. Stamp can also include a heart shape, + or & sign. Choose a 16, 18 or 20 inch inch necklace length. Beautiful necklace and fast shipping, my friend loved it! Shipped on time and just beautiful! Wow!! 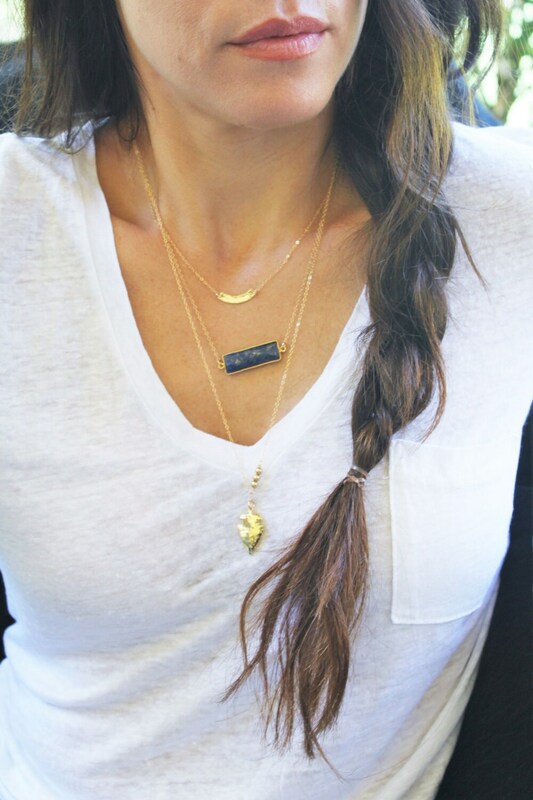 Nice petite bar necklace- I gave my daughter 2 different ones and she wears them together. Quick service- thank you! 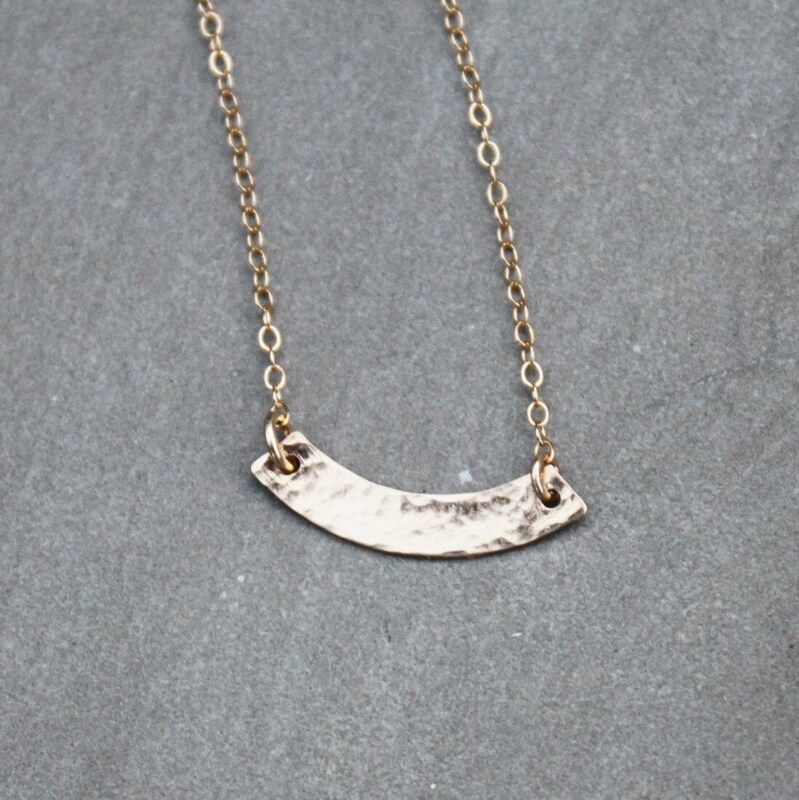 Perfect, dainty necklace. I love this new staple. It's a must have for all!